Director Keita Amemiya (GARO, Kamen Rider ZO) and screenwriter Toshiki Inoue (Choujin Sentai Jetman, Kamen Rider Agito) are collaborating in a new tokusatsu project! Entitled "Shougeki Gouraigan", the show is described as a "romantic comedy battle hero" TV series. This new series will premiere this Fall 2013. Ist aber auch schon zwölf Jahre her das er zuletzt was wirklich gutes abgeliefert hat. Natürlich muss man hier sehen was jemanden als gut oder schlecht wertet. Aber für mich ist Inoue das letzte mal bei Agito ein guter Autor gewesen. Faiz finde ich frustrierend auf grund der unnötigen Missverständnisse die durch ein direktes Gespräch gelöst werden könnten, Storylines die ins nichts führen, Upgrades die aus dem nichts kommen und allgemein der über aus blasse Hauptcharakter. Über Hibikis zweite hälfte muss ich nix sagen. Und Kiva ist für mich eine billige Seifenoper die wieder mal Storylines hat die ins nichts führen, Charakter entwicklung die aus dem nichts kommt oder wieder auf null gesetzt wird so wie Upgrades die plötzlich da sind oder nur einmal verwendet werden und dann nie wieder auftauchen. Eine Idee ohne die richtige Ausführung bleibt aber auch nur weiter eine nette idee. Mal sehen ob Amemiya ihn unter Kontrolle hat bleibe aber ersma skeptisch bis ich die erste Folge gesehen hab. 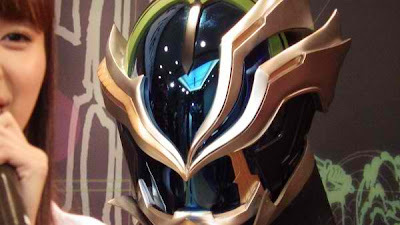 Souma Yamamoto, known for his role as Taiga/Kamen Rider Saga in Kamen Rider Kiva, revealed in his official Twitter page that he will be starring in the upcoming tokusatsu series “Shougeki Gouraigan”, helmed by director Keita Amemiya (GARO) and screenwriter Toshiki Inoue (Choujin Sentai Jetman, Kamen Rider Agito). Basically, Gou doesn't not from this world, but a general from Choshinkai, the World of Billion Truths. Here, Hikaribito (Light People) resides, a super being that possesses extraordinary powers and protects the Human World without the humans' knowledge. But there are people who are called Kageribito (Shadow People), previously a Hikaribito but committed crimes on other people. The female lead is named Hitomi Sakai, played by Yua Shinkawa (35-sai Koukousei, GTO 2012). She is an ordinary high school girl but can see the Magi's appearance, a monster which is invisible to normal people. 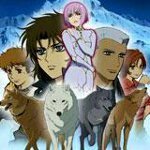 Other cast includes Takuro Takahashi, Enogu Shimegi, Senpai Nezumi, Nana Seino and Nami Kasuya. Roles outside that of the lead female are yet to be revealed. Scheduled to premiere this Fall 2013, it is dubbed as a "love comedy battle action hero" series. Ich mag das desgin irgendwie nicht ganz so, ich finde das er mehr wie ein Gegner aussieht. The official release date of Keita Amemiya's latest project, Shougeki Gouraigan is finally revealed. 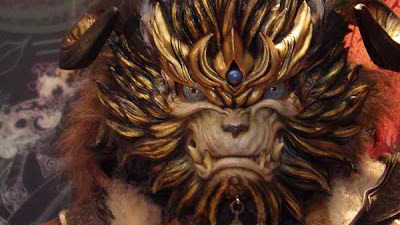 The series is set to replace GARO: The One That Shines in the Darkness in its timeslot this October 4th. The series is about Gou, a general from a world called Choushinkai crashed landed in the Human World after he was attacked by a Magi (a type of monster) while transferring the Kageribito (a kind criminal in their world). He received news that a mysterious group of a thousand soldiers will attack the Human World and without looking for support, he vows to protect the Human World alone. Described as a "romantic comedy battle hero" TV series, this series is written by Toshiki Inoue (Kamen Rider Agito, Choujin Sentai Jetman). As you have noticed, I don't blog cast news related to Shougeki Gouraigan... until now. 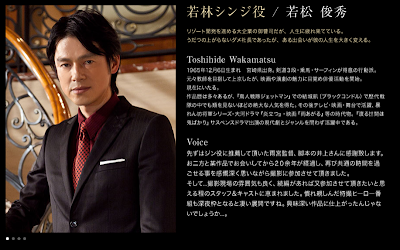 The show's official website announced that Toshihide Wakamatsu will be part of the show! Toshihide Wakamatsu is best known to most toku fans as Choujin Sentai Jetman's Gai Yuki aka Black Condor. In the show, he will play the role of Shinji Wakabayashi, an heir of a company in charge of holiday resort development and is quite tired with his life. He has been a company president who doesn't get ahead of anything, until he met someone who has changed his life forever. Shougeki Gouraigan is described a "romantic comedy battle hero" TV series, written by Toshiki Inoue (Kamen Rider Agito, Choujin Sentai Jetman) and directed by Keita Amemiya (GARO, Kamen Rider ZO). The series is set to premiere this October 4th. 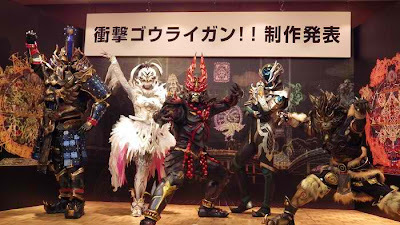 The stage press conference for Shougeki Gouraigan happened just recently, which revealed the five heroes of the show and what fans should expect abou this show. In the series, a world called Choushinkai is populated by a race of super beings called Hikaribito and under this race is a sect of criminals called Kagebito. 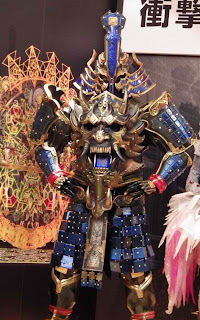 There is also a race of evil creatures called Magi who exist in both our world and in Choushinkai. The only ones who can see these creatures in our world are those humans with powerful spiritual sense and one of those who can see them is Hitomi Kai whose life will change after seeing her first Magi. After capturing some of the Kagebito, one of the Hikaribito generals named Gou is attacked by a Magi on his ship, the Punba. After he crash lands on our planet, he receives a message from his home world that within 100 days, an army of thousands from his world will attack the Earth. Now stuck in this strange planet, he teams up with Hitomi to gather the escaped Kagebito and fight the new threat alongside them! These are the five warriors that make up the Hikaribito Army, composed of only one actual Hikaribito warrior. 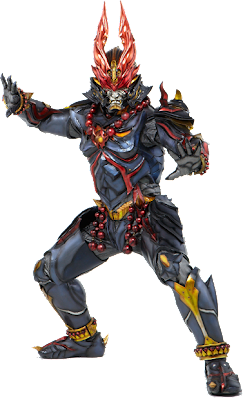 The names of the characters also compose the name of the series, Sho, Geki, Gou, Rai, and Gan. Shou (played by Nami Kasuya) is a lone female warrior and is described as beautiful and fierce who is after every beautiful object in the world – which might be a clue as to how she found herself arrested in the first place. 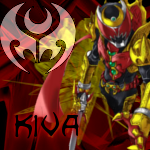 Geki (played by Tomoki Hirose) is an agile warrior who loves video games and lazing around. He is often mistaken as being a cold-hearted man, but his burning spirit swells up his heart. Gou (played by Takahiro Kato) is the main protagonist of the show and is stuck in our world. He is Straight-forward, hot-blooded and easily moved. He also has a habit of voicing what's inside his heart. Rai (played by Shimegi Enoku) is a fun-loving individual who enjoys women and alcohol and uses electrical-based attacks. He might also have a bit of a crush on Hitomi and seems to get along better with Gou than anyone else. 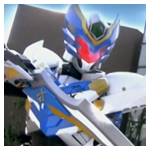 Gan (played by Shouma Yamamoto) is a silent but deadly type of warrior who believes in absolute justice. He is very straight laced and speaks in an antique manner. Appearing in the press conference are director Keita Amemiya, producer Takeo Kobayashi and actress Yua Shinkawa who were on stage and hopes that the show will be a big hit. 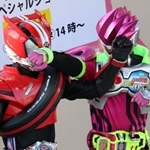 They hope that the show's romantic-comedy aspect will set the show appart from the rest of other tokusatsu productions. Director Keita Amemiya hopes that he can instill a sense of nostalgia in the adults watching the show. 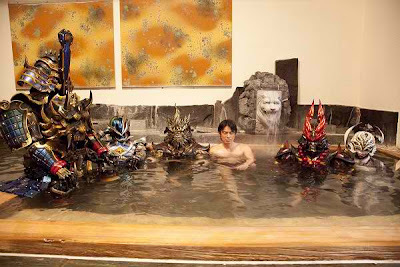 Though rather than purely excite them, he hopes to remind them of the fun they got out of the tokusatsu of their youth. Shougeki Gouraigan is Yua Shinkawa's first major role in a series. She revealed that she's been having fun on set, particularly the laughs shared between the cast and her hopes that tokusatsu fans will be able to sense their earnest efforts when watching the show. 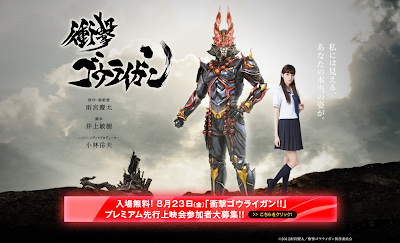 Shougeki Gouraigan premieres this October 4th, replacing the current season of GARO. Bin über die ersten zwei folgen nichr hinaus gekommen.